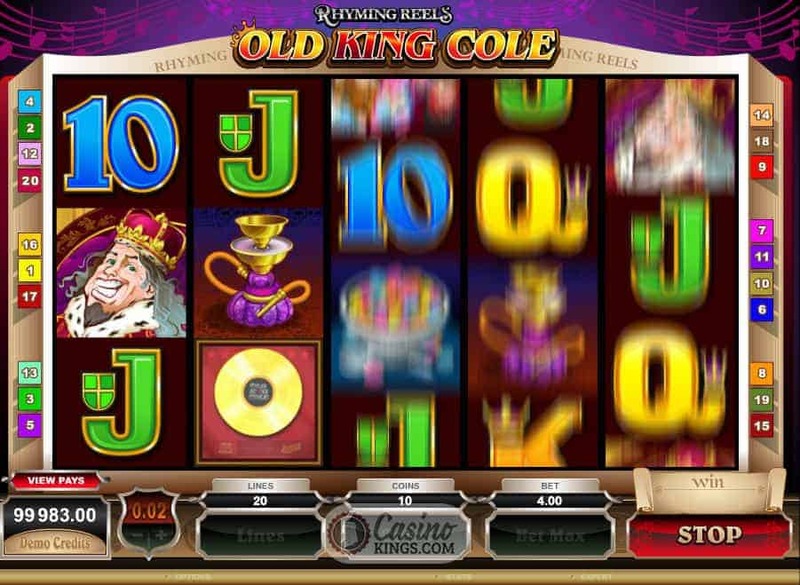 Old King Cole was a merry old soul, a merry old soul was he. He called for his hookah, he called for his cereal and he called for his girl band who could be Little Mix (or is that the name of the cereal?). On first impressions you mightn’t think that has a winning sound to it, but put it in Microgaming’s loving hands and in those very hands we turn to putty. 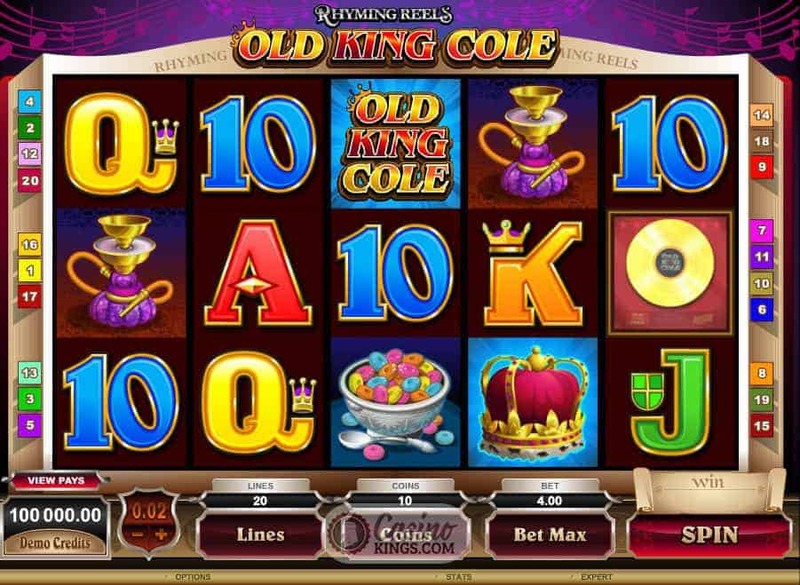 Old King Cole falls nicely in Microgaming’s Rhyming Reels series, in which the Isle of Man-based developer flips nursery rhymes on their heads in an auteur style to create montages of postmodernist neo-slots. Don’t let that put you off – even Rocky had a montage. And in this particular retelling of the famous nursery rhyme Old King Cole has replaced his pipe with a Hookah, his bowl with a Bowl of Cereal and his fiddlers three with a Girl Band (most definitely not Little Mix, our legal team informs me). They might instead be responsible for the funky soundtrack, although having heard some of their stuff I seriously doubt it. Fortunately, the symbols across our five reels are incredibly visual, sliding us neatly into this smiling monarch’s inner circle. So to speak. 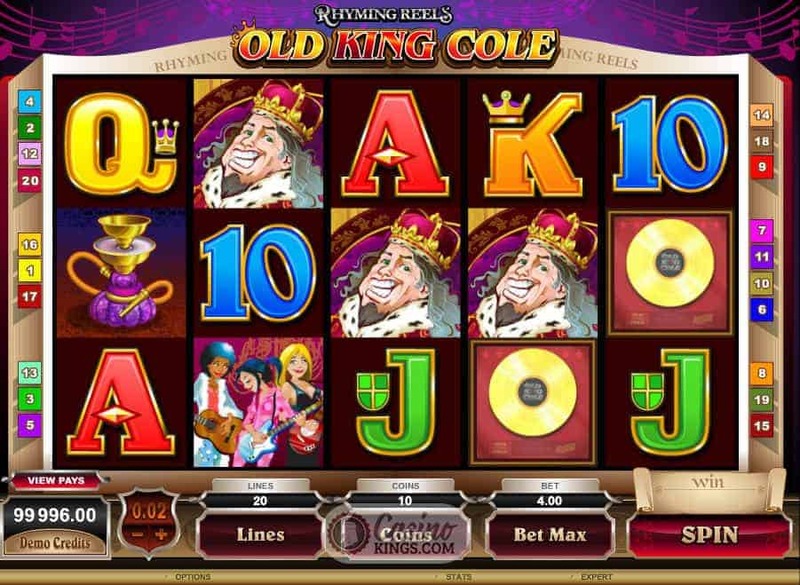 Old King Cole also likes to spread it around – typified by this game’s 20 paylines. As Wild as Old King Cole himself (I mean, three fiddlers? #partyanimal!) 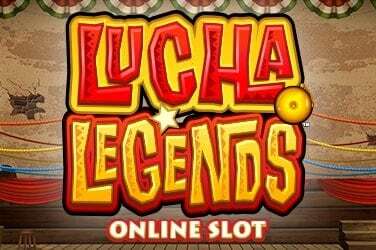 this online slot has two Wild symbols – the Old King Cole Game Logo and Gold Disc Wild, presumably referring to the gold disc his girl band fiddlers are earning for their prowess. If you catch my drift. Bear in mind – the Gold Disc is a regular symbol during the base game but comes into its own during the bonus game, when it becomes Wild. 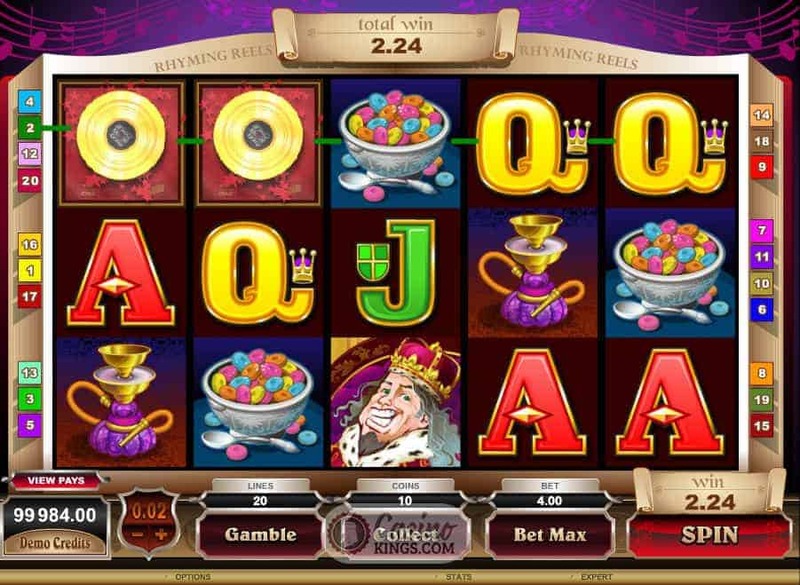 The game’s Free Spins feature triggers when we land three, four or five Crown Scatters anywhere across the reels. 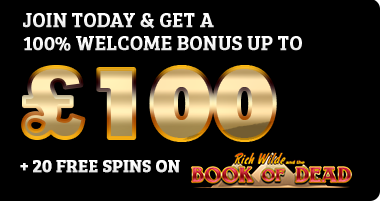 The Crown offers rich rewards – bestowing 12 free spins with a random multiplier of up to 7x. 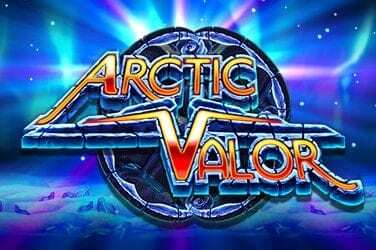 And as if that weren’t enough, we can create our own bonuses by taking advantage of the game’s Gamble feature. We can opt to gamble any win by guessing the correct colour or suit of a face-down card. Guess correctly and we can double or quadruple our win in a fortune-favours-the-brave kind of situation. 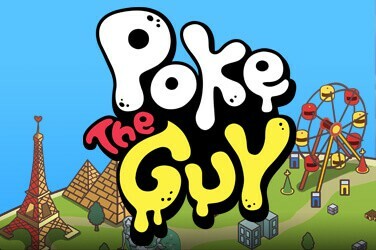 For the sheer creativity alone this slot title is worth a shout or two. 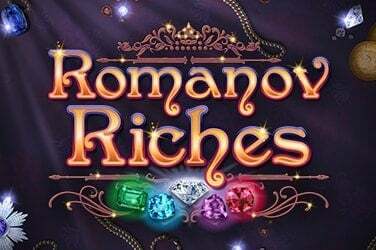 While it lacks some of the cheeky humour found in some of the other games in the Rhyming Reels series, the playability and random bonus multiplier mean that there is more than enough to warrant a draw on Cole’s hookah and a munch of his cereal. Yum.